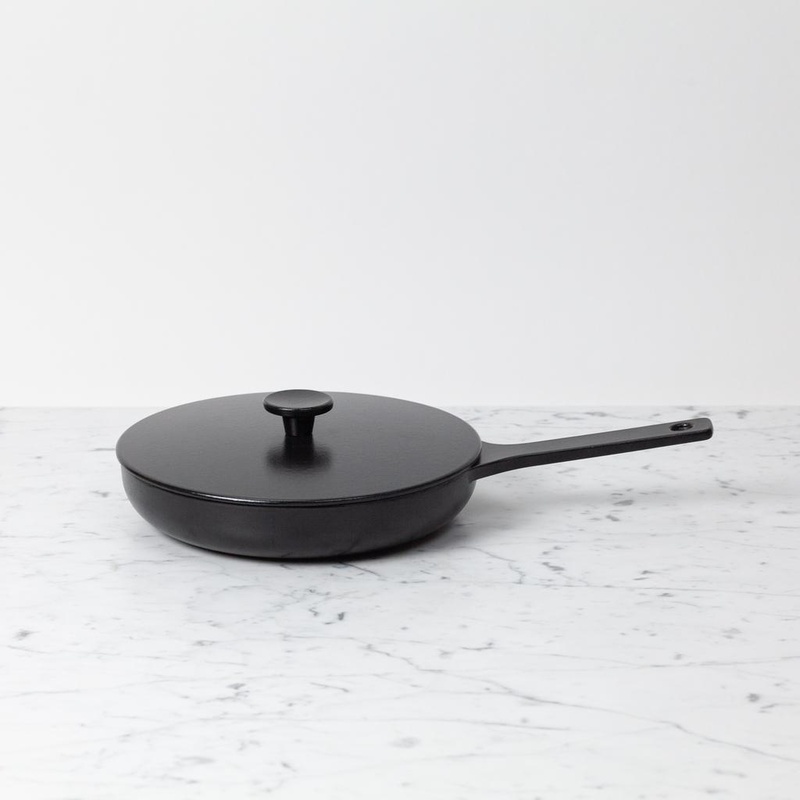 This cast iron frying pan is, literally, everything. 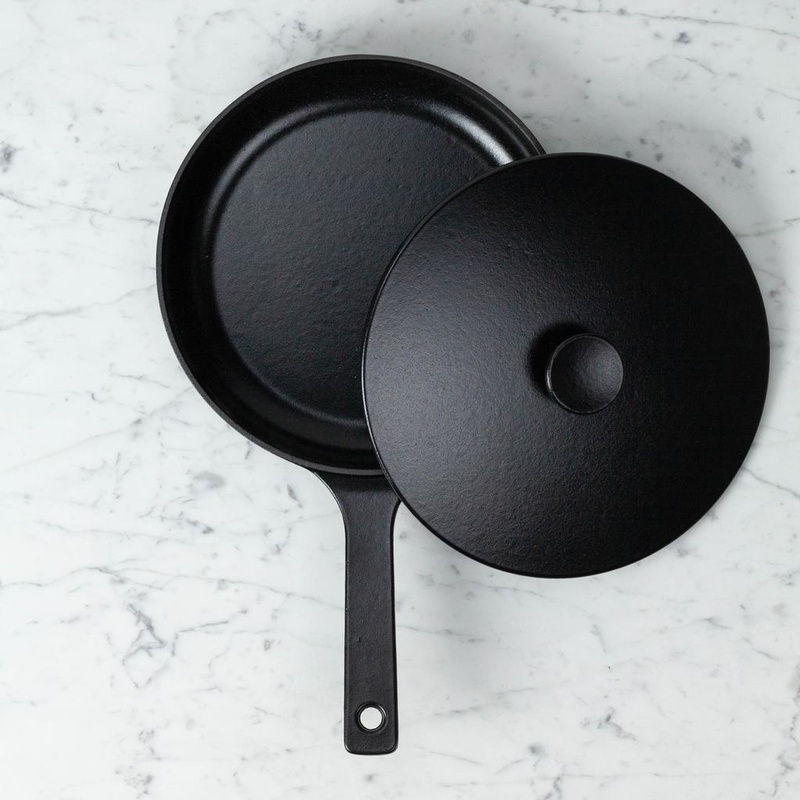 While this pot has the look, feel, and usability of classic cast iron, it is actually finished with a specially formulated matte black enamel, making it virtually indestructible AND not quite as persnickety as our grandmother's beloved old skillets. Designed in Great Britain and sandcast in a 175 year old foundry in France, this brilliant, streamlined, matte black fryer is a stealthy workhorse glamourpuss in the best possible way. 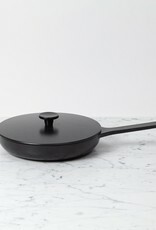 Suitable for all ranges—including induction—with a pleasing, burly, easy-to-grip handle, and smooth-sauteeing rounded interior bevel, we love how this effortlessly transitions from stovetop to oven (hello, shakshuka) and then to ever-so-stylish tableside serving. The universal lid, which is brilliantly interchangeable with the other sizes in the range, is also suitable for the oven at any temp (unlike some other pans...let's just say they rhyme with shay shmeuset). 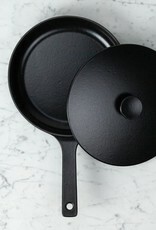 Ideal for cornbreads and sodabreads who need to keep their tops on at high heat. Cadmium, PFOA, PFTE, and Lead Free, made from up to 30% recycled materials. 9" diameter, 3" tall. Take Care: While this stunning enameled pot can handle most abuses (everything from candymaking to...gasp, soap! ), to keep it slick and beautiful, we recommend treating this sturdy casserole like you would any other enameled cookware: hand wash and dry, use wooden or plastic utensils, and avoid abrasive chemicals or bleach.